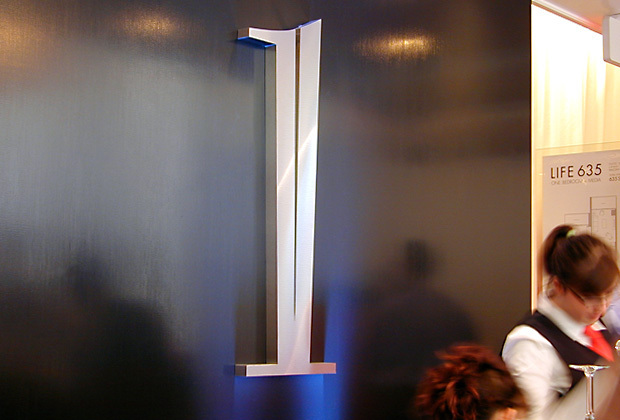 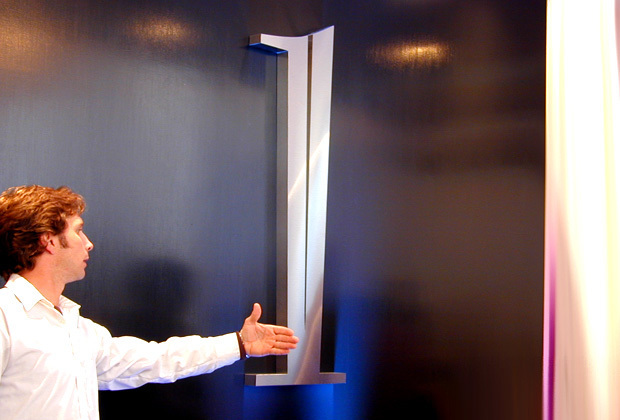 Pictures were taken during preparations for opening night. 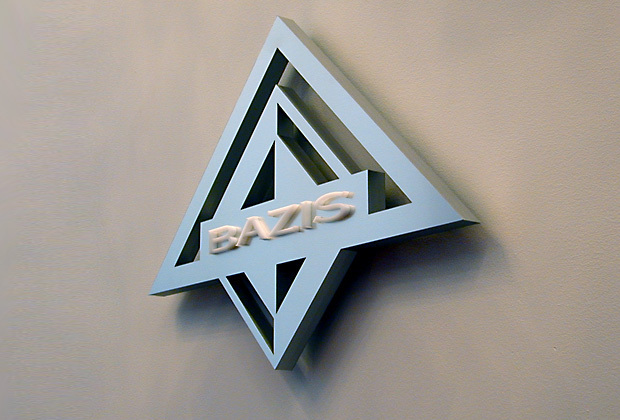 Bazis International - corporate logo sign made of 1" acrylic with our "acrylic stainless steel" finish - pin mounted to the wall. 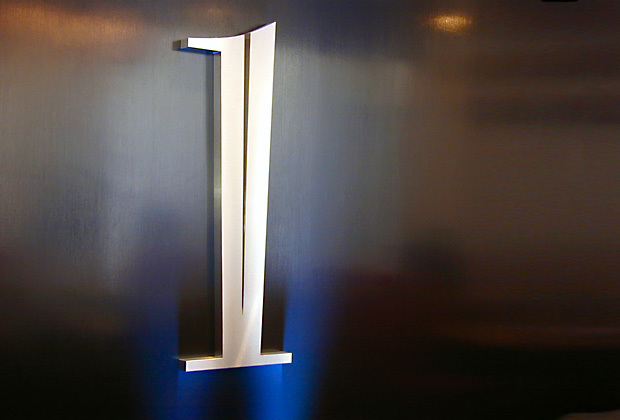 Customer - Interiors Inc. 1 Bloor corner of Yonge and Bloor 80 storey condominium - hotel building.